The Probus Club of Aroostook County held their regular monthly meeting on Thursday, Aug. 16, at the Reed Commons building at Northern Maine Community College in Presque Isle. PRESQUE ISLE, Maine — The Probus Club of Aroostook County held their regular monthly meeting on Thursday, Aug. 16, at the Reed Commons building at Northern Maine Community College in Presque Isle. Club President Dave Maxcy called the meeting to order at 10 a.m. Though Scott Smith, manager of Cavendish Farms, was on tap to be the presenter, Smith was called away to an emergency meeting. On his behalf, Maxcy presented a program on how farming has changed in Aroostook County over the years. 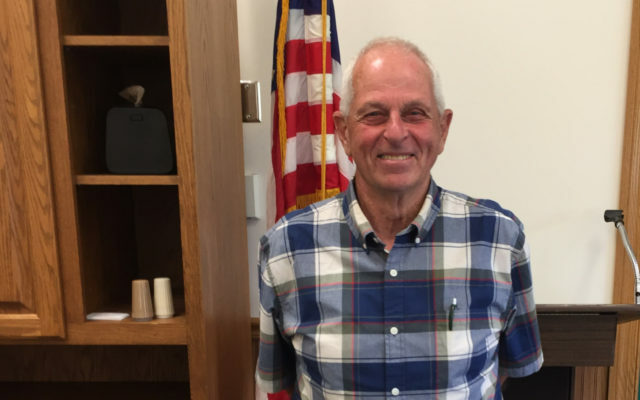 Years ago, he said, Aroostook County had nearly 7,000 farmers who grew around 250,000 acres of potatoes. Today there are less than 100 farmers growing around 55,000 acres of potatoes. Yesterday’s small one- or two-row equipment has evolved into today’s 12-row planters, 50-row sprayers and 24-row harvesters, some of which may sell for nearly $1 million, Maxcy said. From small tractors to today’s wheel tractors, some costing $100,000, to large-track tractors which can come with a $300,000 price tag, the farm equipment used now has made farming more efficient and with the ability to do large planting and harvesting in a much faster time. Modern potato storage facilities have air chambers with a constant flow of oxygen to keep potatoes dry, and large refrigeration units that constantly maintain the proper temperatures. These advances help ensure potatoes are always in perfect condition, he noted. Cavendish Farms is owned by the Irving Corporation and they have 12 branches serving Maine, New Brunswick and Prince Edward Island. According to Maxcy, they make use of the railway line here in Aroostook County, also, and produce 20 percent of all french fries made in North America, as well as several other products. In other business, Janet Snow gave a reading called “Health Unlimited” by Aaron Sussman, in which he explained that walking is one of the best forms of exercise for all phases of general health and fitness. Probus welcomes interested professionals and retirees to join the organization, which keeps its members informed on all areas of their communities.